Over the years, we’ve learned that many organisations need similar solutions, so we’ve built cost-effective Audiovisual Solutions that allow us to install efficiently, all whilst providing our expert bespoke business services for our loyal customers. 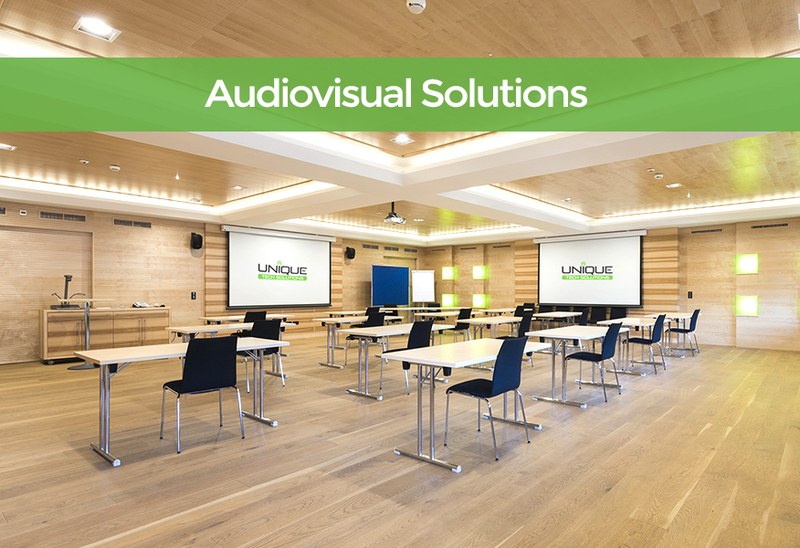 With all Audiovisual Solutions, we strive to minimise disruption with smooth installs of systems that complement your space. When we’re finished, there’s full operator training so all that need to know, know how to control your new audiovisual system. Did you know we can also install CCTV Camera Systems and Door Entry Systems too? These integrated technologies can sit alongside environmental controls like air conditioning and heating, with each piece of technology installed to best suit the needs of your business, by the best in the business. Read what some our customers have to say about us over on our Testimonials page.